“Dry” insulation is not a new concept in electrical grid equipment. However, the initial designs have been associated with longevity problems and medium voltage limits. Now it can be said that dry technologies, like HV DryShield® and RIF®, are clearly performing as well or better than alternative cast epoxy, oil or resin impregnated paper, or gas based insulations; it also lasts longer and is being successfully operated at Extra High Voltages (EHV). We have created, developed, qualified, and manufactured those two distinct dry type technologies for two distinct functional purposes. HV DryShield® is a proprietary condenser finely-graded insulation using composite materials such as PTFE (Poly Tetra Fluoro Ethylene) as core insulation. 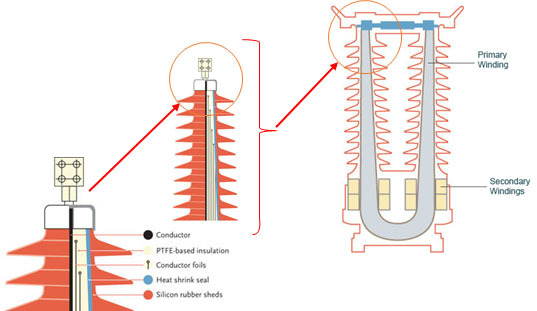 A uniformly distributed electric field design eliminates stress points and is complemented with external silicone rubber insulation. A unique combination of design, materials and manufacturing know-how results in a very robust insulation with minimum flashover risk and very low partial discharge and tan? values. 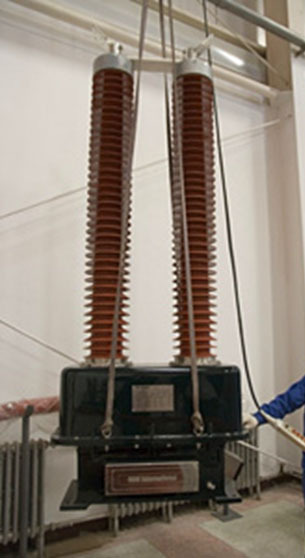 HV DryShield® is used both in our Current Transformers and Wall Bushings. 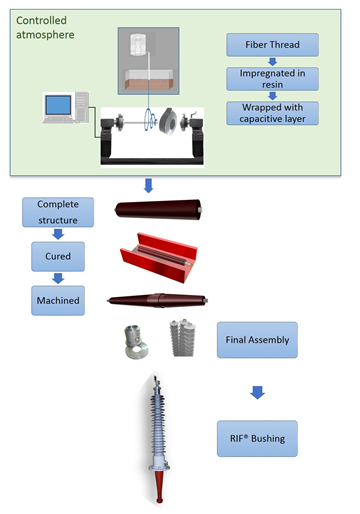 RIF® is a proprietary paperless condenser graded insulation system composed of layers of fiberglass impregnated with epoxy resin between capacitive screens used to form a uniform core insulation. RIF®, provides superior electrical, mechanical and thermal operational margins. It is impervious to humidity in a maintenance-free, leak-free and explosion-free package. As with all RHM International products a high quality silicone rubber is used as outer insulation; it provides superior pollution and climate resistance enabled by the uniformly controlled electrical field profile. 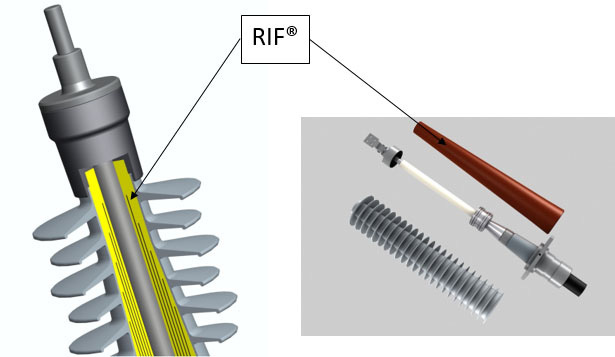 RIF® is used both in our transformer bushings and cable terminators. A simple and rigorously controlled production process allowing design flexibility with consistent Quality and one of the best lead times in the industry. Installing our products is as easy as “plug & play”. No structural modification required, no seal to check, no oil level or gas leakage rate measurement to perform. 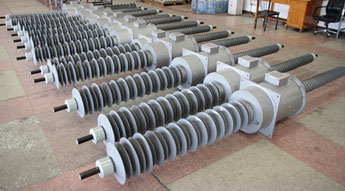 Furthermore, our products are often lighter and smaller than conventional current transformers and wall bushings. Replacement, upgrade and installation then are simple, trouble-free operations.